Here for all your monster-related hijinx needs. My, my! It looks like an extended weekend is in the Co-Opticrew's immediate future, and you just know we're gonna get a little gaming in to celebrate. The Fall Deluge hasn't struck in full force yet, so outside of the brand new Bizarre Battalion, we're mostly still working through our backlogs. That's probably for the best, as things will be getting real hectic around here before too long. This time around, we'll be grinding for XP, enjoying some retro gaming, and doing that floss dance the kids are so crazy for. Check it out! 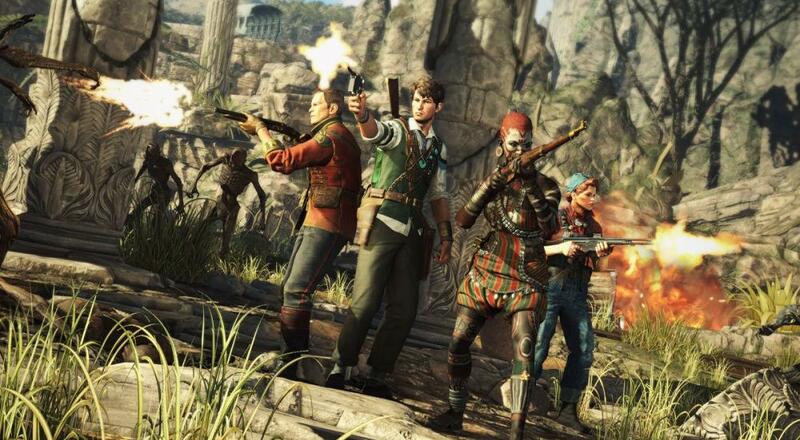 Nick Puleo (@NickPuleo) - "Fortnite and Strange Brigade." Jason Love (@JLove55) - "Some Strange Brigade, getting gud in Dead Cells, and preparing my body for Destiny 2: Forsaken next week"
Mike Katsufrakis (@Pheriannath) - "Workin’ on that WoW grind. Enoch doesn’t seem to be aware that I’m in his guild yet and I am endlessly amused." Eric Murphy (@smurph_em) - "Unfortunately, we won't be streaming tonight but I plan on playing some more Conan Exiles this weekend." Marc Allie (@DjinniMan) - "Gonna be pretty busy but maybe some low-key board gaming and Atari here and there." Tally Callahan - "A bit of Smite with some board games on the table." Enoch Starnes (@enochstarnes) - "I'll be out and about most of the weekend, but I'm hoping to get some Northrend action in." Matthew Squaire (@mattaghetti) - "Divinity Original Sin if any, but I plan on plowing through some unfinished literature this weekend first and foremost!" How will you be spending this extended break? Let us know in the comments. Page created in 1.1610 seconds.